Curious visitors flocked to Universitetshuset for the launch of Lund University’s first ever fundraising campaign. There is a lot of interest in philanthropy, as manifested in the lively discussions heard on the floor. The atmosphere was vibrant as students and researchers mingled and networked with members of the public, the press and business representatives during the open afternoon. 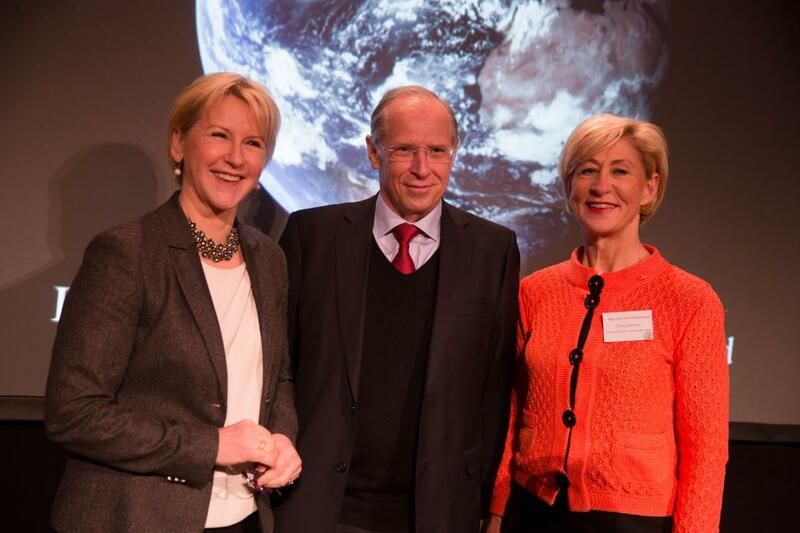 At the inauguration ceremony, which featured speeches by Vice-Chancellor Per Eriksson and Chair of the University Board Margot Wallström, the target for the campaign was also revealed: SEK 3 billion is to be raised by the end of the University’s 350th anniversary celebrations in January 2018. A common thread in the speakers’ presentations was the importance of donations from a broad range of donors. The important thing is not how much you give – rather that you give! “We are the first university in Sweden and one of the first in Europe to start a platform for crowdfunding for research and education. We want to create a culture of giving and to show that philanthropy can involve both large and small donations. On our campaign website, which is also being launched today, we describe how easy this is and what tools you can use. The website serves to display a few of the many fantastic projects in which people can get involved. It is also a key platform for communication and interaction with our alumni and friends”, said Ulrika Nilsson, head of the Development Office. The campaign is the largest ever in the Nordic countries for donations from the private sector to a university. The goal is to build lifelong relationships, nationally and internationally, with alumni and friends, and highlight the role of the private sector in research and education. SEK 3 billion is the monetary target. Of this, SEK 2 billion will come from the University’s existing work with private sector financiers. The hope is that the extra billion will be raised through intensified efforts, more friends, deeper relationships, excellent research and satisfied graduates. “The campaign is a way to move up a gear and put the spotlight on the University’s work with fundraising. We are mustering our strength and improving our shared ability to attract funding from private foundations, businesses and individuals. The work is long-term and will continue well beyond our 350th anniversary. We want to improve our cooperation with businesses, foundations and private individuals and create new interfaces for donations. Key to our success is our ability to establish, develop and maintain our relationships with alumni, funders, partners and friends. This has to be our focus – without that there will be no donations! It is when a donor’s desire and interest encounter a need at Lund University that it all comes together”, said Ulrika Nilsson.